With apologies to Tennyson, in Spring, a young man’s fancy may turn to thoughts of love, but in mid-January, we’re still pretty much in lockstep with the revelries of Southern Rhône. No wine I can bring to mind better says ‘chin up, ye winter weary with cabin fever’ than a toasty-ripe swig of cheer from Avignon, the point upon which the Southern Rhône pivots. Unlike the north, where Syrah wears an exclusive crown, in the south, wine grapes sort of cluster together in vinous bonhomie and work together for the common good. These may any of a score of varietals—Châteauneuf-du-Pape allows ten red and nine white—depending on the individual AOC. 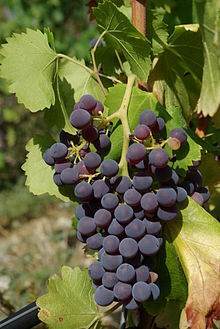 Many of the grapes, of course, are also-rans; the Big Three (often identified by the acronym GSM, especially in Australian versions of Rhône) are Grenache, Syrah and Mourvèdre. Mourvèdre, which provides an inkwell to a wine’s color base; a dark plum color which is echoed in the rich, dark plum taste. 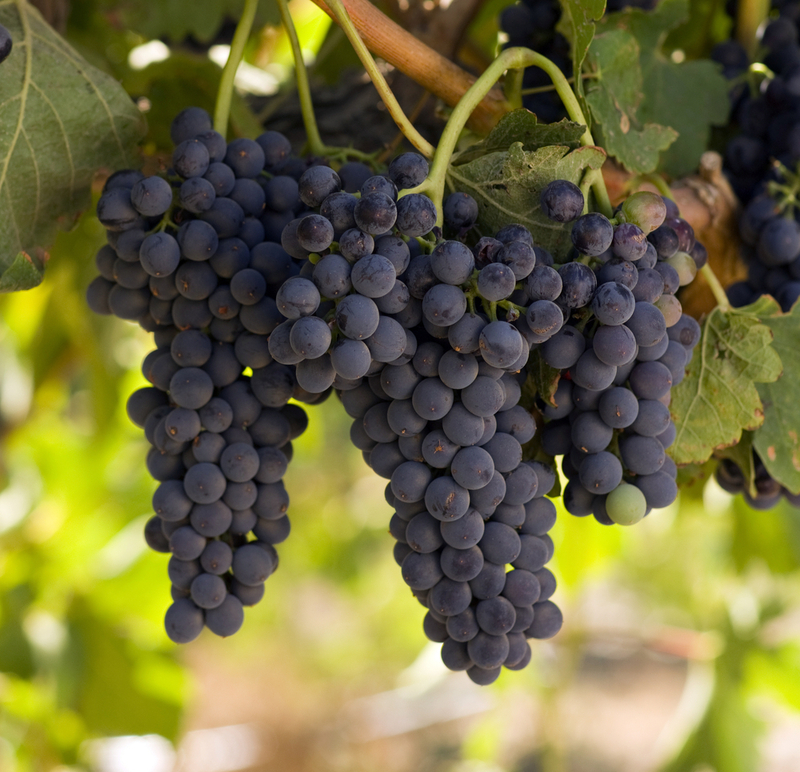 Mourvèdre is responsible for some carnal notes as well—leather, gaminess, roasted meat. Syrah is the grounding grape that tames Mourvèdre beast and hauls the loftiest ideals of Grenache back to earth—an earth that is often warm with forest notes and brooding with brambles and berries. It provides structure and sense, anchoring its stablemates with firm tannin and an acidic backbone. I had an opportunity to contrast a number of reasonably-priced Southern Rhônes with an aim toward warming the cockles, not breaking the bank. 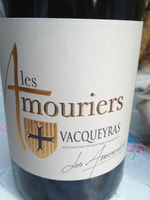 Domaines de Amouriers ‘Signature’, Vacqueyras, 2011 ($26): Somewhat basic, with vanilla, flowers and boysenberry in the bouquet and a moderately fresh and spicy middle-mouth. Vacqueyras sits along the banks of the River Ouvèze and produces wines that, while not blockbusters, may be described as ‘pleasant’. This is good example of that, without ambition to be overly elegant, but delivering solid fruit and minerality. 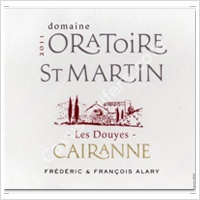 Domaine de l’Oratoire St, Martin ‘Les Douyes’, Côtes du Rhône, 2011 ($29): A sharp and distinctive blast of mulberry rises from the glass, carefully mingled with a lighter, leathery savoriness. It’s followed by a ripe, smoky-rich palate that is still a little wood heavy, having been aged for 18 months en foudre and bottled without filtration—a striking bitterness comes through at the end and hangs around for a bit. Eddie Feraud Châteauneuf-du-Pape, 2011 ($49): The wine remains taut; the nose is restrained, offering small scents of blackberry and pepper. It shows better in the foreground, with a complex and textured set of flavors—coffee, spice, raspberry and tar—but does an abrupt turnover to broad tannins that still show the harshness of youth. 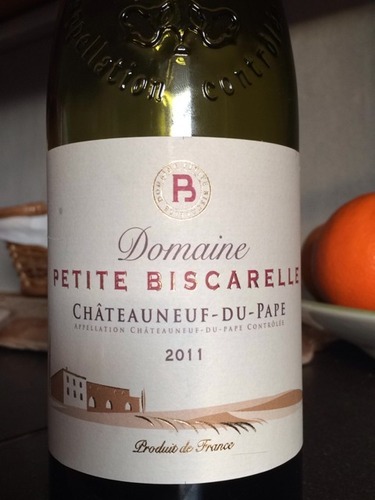 Domaine Biscarelle Châteauneuf-du-Pape, 2011 ($50): Bright and forward, the wine is from a fairly young estate, only founded in 1984. Grenache heavy, with Cinsault and Terret Noir along with the usual suspects, it offers a spicy blast of iodine in the nose and a pronounced, refreshing acidity, leading into an aggressive palate, rich in black fruits and earthy tonality, leading to a snap of oak at the finish. 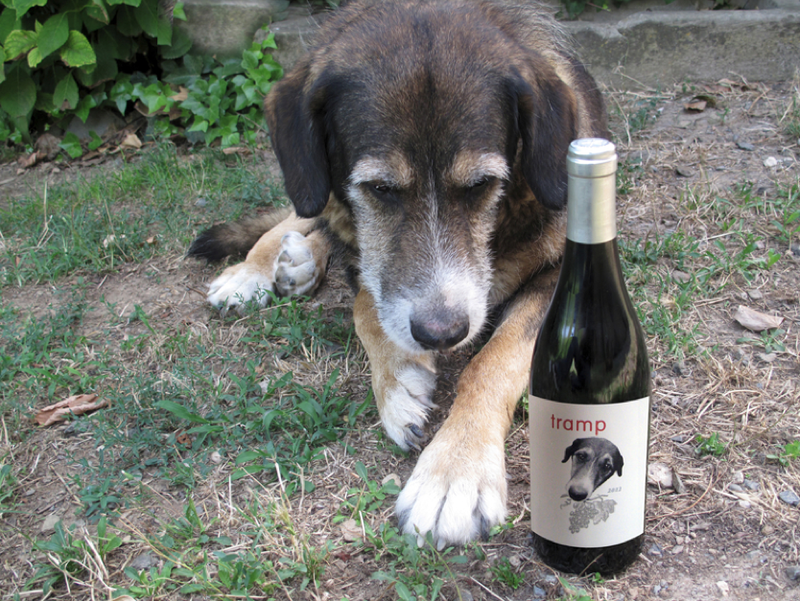 Irony of ironies, the GSM blend that raised its head above all Southern Rhône contenders was a monumental Spanish wine from a minuscule producer—a wine with the unlikely, unlovely name of Tramp and a picture of a stray dog on the label. The Catalan eye-opener is made by Jordi Castellvi in little Can Grau Vell, a winery situated on less than eight acres near the town of Hostalets de Pierola at the foot of the Montserrat mountains. 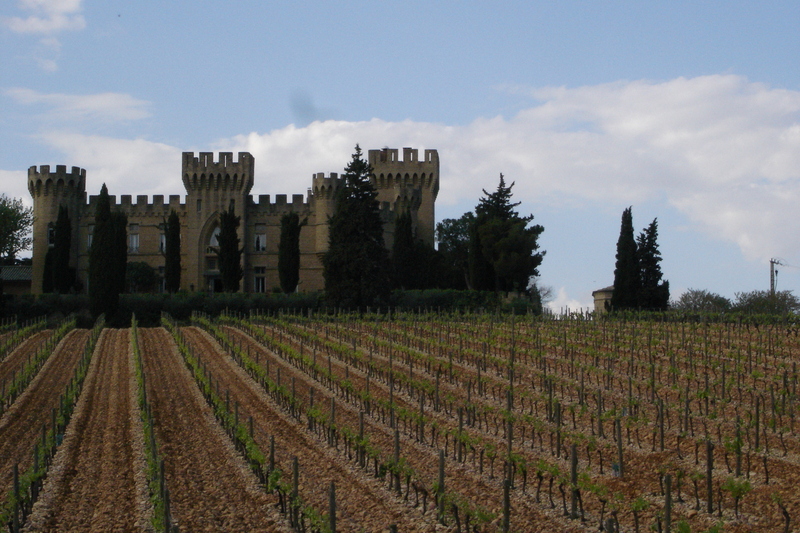 Castellvi plants five varietals; beside the Big Three of Rhône , he raises Cabernet Sauvignon and Marselan, a varietal better known in Languedoc. These are blended into Tramp, named for a mutt that wandered through the vineyard and took sanctuary within Castellvi’s picturesque villa. It is a beautifully crafted, amazingly vivid wine, displaying an intense nose of violets, tarry plum, blackberry with a distinct mineral lift; the palate echoes the depth of the aroma and adds additional structure with chocolaty, spicy finish. I hesitate to offer further praise simply because I was fortunate to try this wine and the likelihood that you’ll find a bottle are fairly slim—less than 600 cases were made. But it represents the luscious style of wonderful wines coming from some of these upstart Catalonians a few hundred miles south of Avignon. Is the reign of Rhône under siege? To me, some of the old standbys are tasting a bit tired, a touch rough around the stylistic edges. 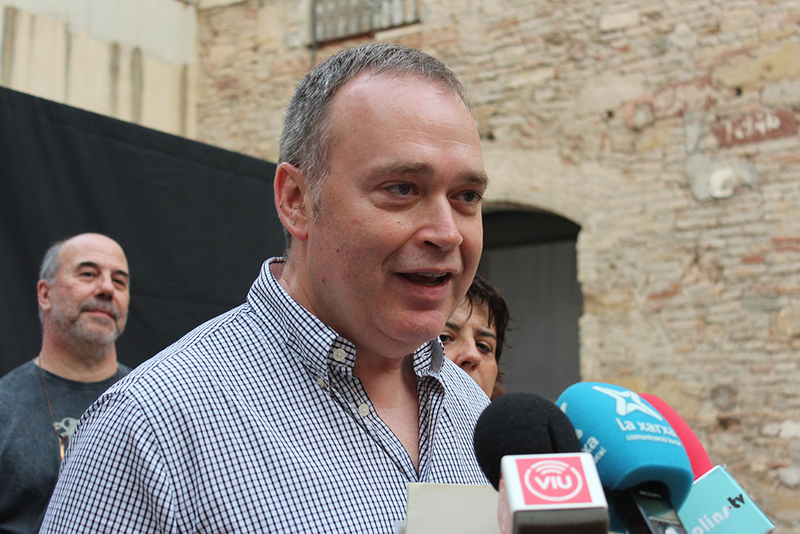 If Castellvi’s wares are an example of the direction the fascinating appellation of Catalunya—known primarily for the unique sparkling wine Cava—is taking with GSM, I think they’ve got a shot at some serious glory. This entry was posted in Uncategorized and tagged Catalunya, Chateauneuf-du-Pape, Jordi Castellvi, Southern Rhone, Tramp. Bookmark the permalink.